US State Department insists that Prime Minister Binyamin Netanyahu's re-election will not impede Iran nuclear talks in any way. Prime Minister Binyamin Netanyahu's victory in the Israeli election will not hamper US efforts to reach a nuclear deal with Iran, the State Department said Wednesday. The Israeli leader opposes any accommodation with Tehran and came to Washington during the campaign to address US lawmakers and denounce the agreement under negotiation as a "bad deal." "We've been long familiar with the views of the prime minister on Iran. We don't think that his win has impacted the Iran negotiations, or will," said State Department spokeswoman Jen Psaki. US Secretary of State John Kerry is in Lausanne for talks this week with his Iranian counterpart seeking to reach a framework accord to rein in Iran's suspect nuclear program before a March 31 deadline. Psaki repeated the talks had been "difficult but constructive" while agreeing that on the complex technical aspects the negotiations had been "professional and fruitful in terms of identifying the technical issues, clarifying them, sharpening them." Iranian Foreign Minister Mohammad Javad Zarif Wednesday played down the chances of reaching a deal this week, saying other foreign ministers from world powers involved in the negotiations were unlikely to join them. "We're pushing forward as much as we can now to see what we can get done this week. 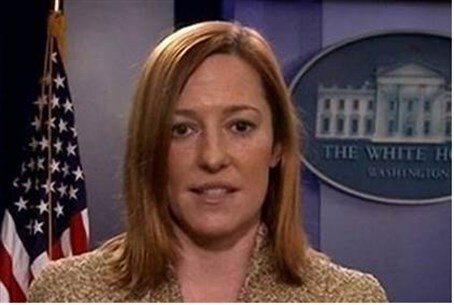 There's still a couple of days left," Psaki told reporters. But she reaffirmed the deadline was the end of March and "that's what we're working toward" agreeing that so far there was no announcement of a meeting of all the foreign ministers from the so-called P5+1 group to sign off on any deal.